When Lack of Training Motivation Rears Its Ugly Head – Do this! It’s tough being a bike rider from December through late March. Keeping up the motivation to exercise on a cold winter day instead of curling up under a warm blanket on the sofa can be difficult. Sometimes lack of motivation rears its ugly head during these challenging times despite our best efforts to press on. Yet, this time of year, many cyclists, competitive and recreational, are fighting regular demons whether that is general fatigue, lack of time, seasonal illness or just plain boredom. First, it’s important to review your goals for the coming year and create a supportive environment that supports your goals. Is there a time of day that works best for you? Then, schedule your training time. Do you train better with a partner? Then, enlist the help of your family and friends. Is your bike riding properly? Check out your bike components, determine which bike parts you need, and get your bike in proper riding condition. Your primary objective in creating a support structure is to foster an environment in which you are supported and held accountable. This makes sitting on the sofa eating bonbons a little less attractive and harder to do! Also, keep it fresh! Winter is a time to build for the year ahead. Trade saddle time for gym time to gain core strength. The primary focus when it comes to strength exercises for cyclists is to train in a similar motion to cycling with lower and upper body, while increasing overall core strength and muscular endurance. Check out The Best Strength Exercises for Cyclists or 7 Hip and Core Exercises for Endurance Athletes to get you started and also – to keep you motivated through the winter months. Another option? Focus on nutrition. Many subscribe to the idea of eating pasta and carbs for fueling training and racing. Yet, there is a growing shift in nutritional information towards a strong focus on vegetables, fruits and lean meats as fuel. Consider experimenting with your diet and nutrition as a means for making gains in your 2015 cycling program. For ideas, read Five Ways To Get Started With the Paleo Diet. Everything else aside, if you still don’t feel compelled to train through the winter, then at least feast your eyes on bike parts, cycling accessories, and new bikes. Or, bring your bike in for service at Peak Cycles Bicycle Shop. At a minimum, you are fueling your desire to ride when the weather improves! But, what it boils down to is that an essential element to being a successful athlete is staying motivated throughout the year. Remember, cycling is supposed to be fun. Set small goals, create a supportive structure and atmosphere for your training environment, and you’ll be amazed at what you can do in 2015! Keeping up the motivation to exercise on a cold winter day instead of curling up under a warm blanket on the sofa can be difficult, not to mention the allure of keeping comfortable if you are fighting an injury. Sometimes lack of motivation rears its ugly head during these challenging times despite our best efforts to press on. Yet, this time of year, many cyclists – competitive and recreational – are fighting regular demons whether that is general fatigue, lack of time, or seasonal illness. Granted, it is widely accepted in the health and fitness community that exercise has a positive effect on our mind body and spirit. But how do you make these gains and keep your cycling training on track when you are missing workouts? 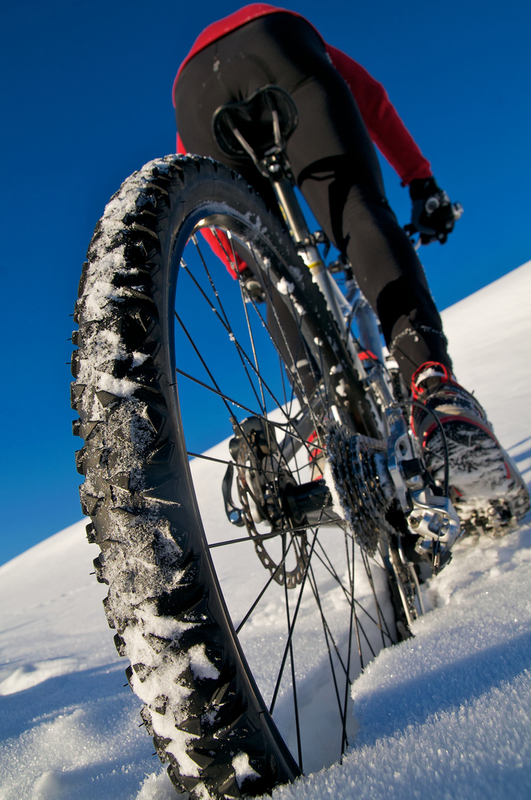 Let’s look at some practical steps to fight off those winter blues, manage time better, and overcome injuries so you are in your best form for the 2014 cycling season. For starters, general fatigue, lack of time, and life in general will always play a role in preventing training and missing training days. So what do you do? The post, Missing training – Adjusting the plan, suggest a few options for recalibrating your weekly training schedule. The big take away is the mindset. But that isn’t an excuse to curl up on that couch! Motivation is key and weather variances can prevent steady outdoor training. The post, Surviving the Winter as a Cyclist, shares some great “fortune cookie wisdom” in that the hardest part is just getting started. “Whether it’s starting your workout for the day, or jumping back into training after you’ve been “off the wagon” for a while, getting going is tough. That’s the law of inertia. An object at rest wants to stay at rest. But on the flip side, once an object is in motion, it wants to stay in motion. The key here – start pedaling. Make a time commitment to stay on the bike for 30 minutes to see how you feel. By then, most likely you’ll be into the ride and lack of motivation is disappearing. And finally, if injury is preventing you from sticking to your cycling training plan, consider watching what you eat! Not to avoid gaining weight, but to improve your recovery time. The post, What Can I Eat to Recover from Injury? illustrates the role of omega-3 fats, protein, glucose, and herbal supplements in injury prevention and recovery. What you eat can affect your mindset, motivation, and outlook. If all else fails, remember, Spring is right around the corner! Get a bike fit! Purchase new bike parts, and get ready!